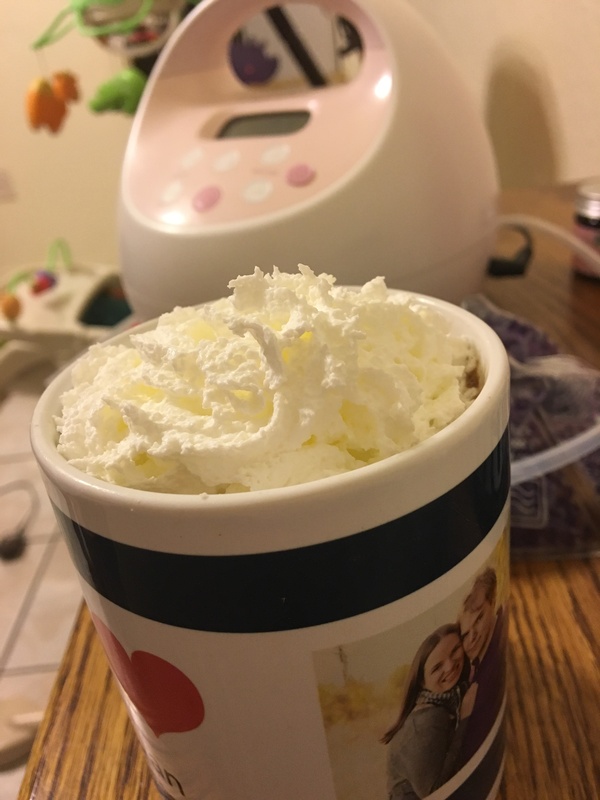 My husband and I wanted to make sure to try out this recipe before the cold days vanished as they so quickly do here in Phoenix… and since we had a bottle of wine he’d gotten me for Mother’s Day that I never got to enjoy since I found out I was pregnant shortly thereafter, this seemed like a great use for the bottle! All you have to do is heat the milk on the stove- we had it on medium to keep it from boiling and curdling, then slowly stir in the chocolate chips so they melt, then add the rest of the ingredients! You can easily adjust to taste. Finally, feel free to top with your favorite hot chocolate add ins- for us that meant whipped cream. This was delicious but SO RICH that I couldn’t even finish my cup. Next time we make this I think it will need to be when company is around so we can serve it in little espresso cups to sip as that seems the appropriate serving size! I was hoping to post this for a great Valentine’s day recipe, but the best laid plans, right? I have another drink post coming up where I’ll talk about how I celebrated Galentines Day… hopefully I’ll have a little more time to write soon!